If I need to define the URL shortening term then I would say, its a service in which a long-ish URL is inserted and on a click of button, the url is shortened to maximum 10 characters. So, whenever anybody clicks on that link, he/she will be redirected to the original link. It looks more cleaner, simpler and easier to remember. CTR of shortened URLs will also increase. You just need to type the attractive G+ or FB status and put the short url with it. You can also track your visitors. So, these were the few advantages of using url shorteners. Twitter has initiated the concept of shortening URLs. So, if you wanted to publicize your blog post on twitter, you will just get 140 characters. Here, you must have use short url to complete your tweet in 140 characters and as it can be re-tweetable by others too. There are hundreds of url shortening services are available. But I have compiled and made the list of top 10 websites. Your choice can vary so please feel free to share it with us. Here the priority is top to bottom so prefer top site first. 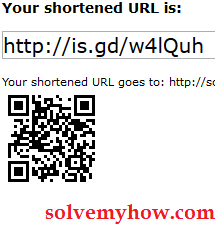 This is the official url shortener tool from Google, which allows you to shorten unlimited URLs. If you are logged in with your account, then your can also track your visitors. Goo.gl comes with very easy to access dashboard. This is one of the famous and most used url shortening tool. This is very simple to use. 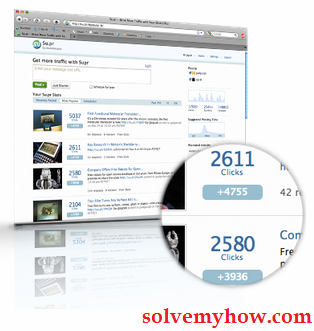 Its recommended to create free account to track stats of views and clicks on the link. This is my another favorite url shorteners with allow you to create your own custom links. Look at the example below in the snap shot. This site is very clean with file sharing functionality. This is the very good tool for promotion of affiliate links. Here you can decide when the shortened url can "live" or "die". Like Tiny URL you can make you own custom links too. This tool will create the shortest url in the world. Here also you can give your own customs names. After shortening the link you can post it on twitter, Facebook, delicious, StumbleUpon, etc. This is pretty simpler tool and you can create your own custom short URLs. This is official tool by StumbleUpon. With Shortening url this tool also allows to syndicate content between StumbleUpon, Facebook and Twitter. This tool also gives the scheduling post facility. Snip URL is mass url shortening tool which comes with an API to create short URLs in the active browser. Very easy to remember Is.gd right ? More advantage of using this tool is, it also gives you QR codes of shortened links. If you are uncomfortable in sharing your email address. Then you must use this tool. 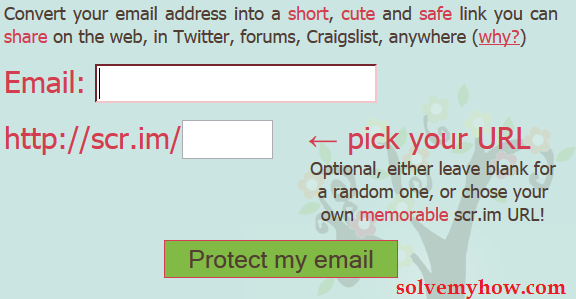 Scr.im allows you to share your email address safely. It allows you to convert your email address in non-recognizable format. So, now you can share your personal email address on internet without worrying about spammers. So, these were the top 10 complied url shortener sites. Hope you found this article helpful. Go Ahead select one or two tools and start using them for your blog post promotion. You will definitely observe a drastic change in Click Through Rate of your post links. 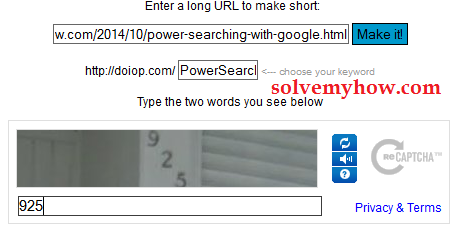 In the mean while do let me know which is your favorite URL shortener tool / website. Which site you are using the most to shorten the url. Please do comment ! Thank you for stopping by and adding your valuable comment. I checked this tool and its working fine. Though it is new tool but efficient enough. Even it will give you Q-R Codes !